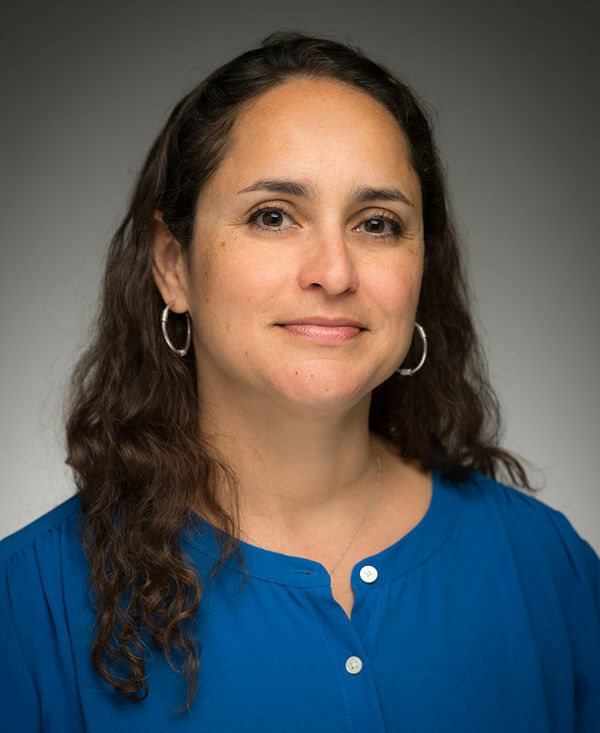 Marisel Moreno, an associate professor in Notre Dame’s Department of Romance Languages and Literatures, has been selected to receive the 2016 Sheedy Excellence in Teaching Award. The highest teaching honor in the College of Arts and Letters, the Sheedy Award was created in 1970 to honor Rev. Charles E. Sheedy, C.S.C., who served as dean of Arts and Letters from 1951 to 1969. A reception honoring her will be held at 3:30 p.m. Dec. 6 in the McKenna Hall Auditorium at the Notre Dame Conference Center. “Professor Moreno does not approach teaching as an activity that stops at the classroom door,” said Ben Heller, an associate professor of Spanish. “Her teaching is innovative, bridging academia and community, making learning real through engagement with the local Latino environment. Moreno outside La Casa de Amistad, where students volunteer as part of her community-based learning courses. Moreno is currently working on her second book project, focused on Caribbean borderlands and representations of undocumented migration in literature and art. She is examining U.S. Latino perspectives and Puerto Rican, Cuban, and Dominican depictions of the same phenomenon. The course, which explores issues related to the U.S.-Mexico border and movements of people within the Hispanic Caribbean, also draws on her recent visit to the border through an immersion experience offered by the Center for Social Concerns.